Limon’s railroad park was the landing site for the “Obama’s Failing Agenda” bus tour on Saturday morning. 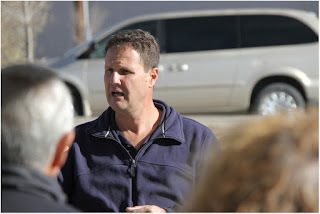 Following an early morning stop in Ft. Morgan, Jeff Crank and the tour bus stopped in Limon to distribute T shirts and let attendees sign the petition promising to vote against Obama’s failing agenda. Crank spoke to attendees about the “jobs” situation. After leaving Limon, the bus tour will visit Burlington, Lamar, LaJunta and Pueblo before the end of the day. The bus tour has traveled more than 23,000 miles spreading their message. 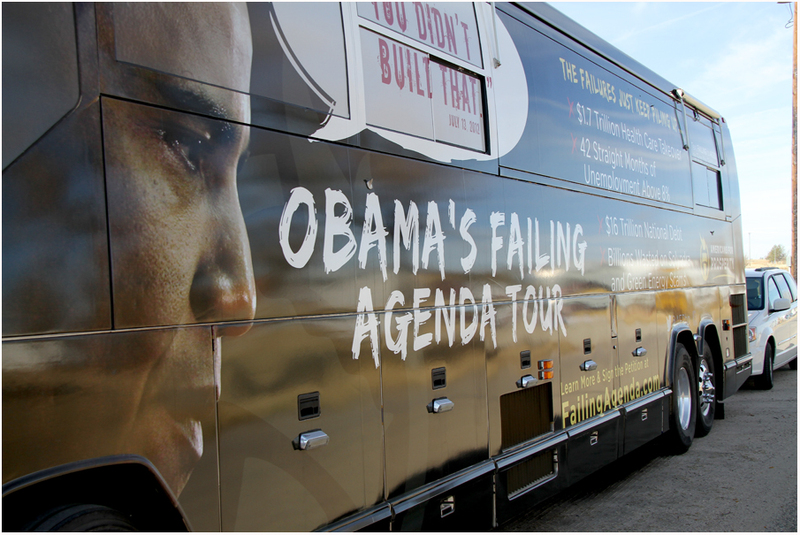 Along with today's rally in Limon, the tour also has buses in Wisconson, Ohio and Florida. Regardless of who you intend to vote for, the Limon Leader reminds you to VOTE on Tuesday, Nov. 6, 2012. Americans for Prosperity passing out Chinese made t-shirts. That tell you all you need to know about them.